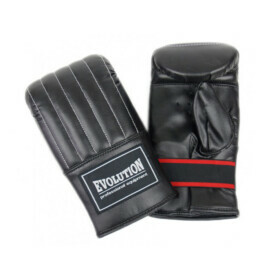 Gloves Bag Mitt first-rate brand Evolution. Made of natural leather, high on ribbing ensures easy adjustment of cuff with flexible and appropriate arrangement on the hand. Gloves have strengthen the fingers in the shape of the tubes, which protect against their injury. Designed for training on all kinds of equipment. 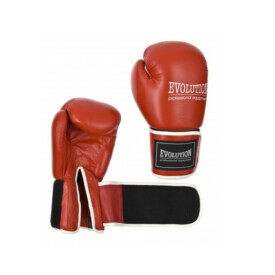 Bag Mitt gloves made of high-quality Natural leather, filled with dense foam. Suitably profiled, well fit to the hand. 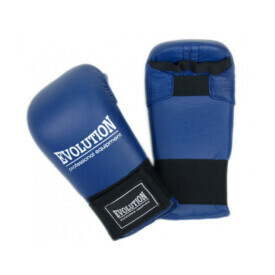 Gloves Bag mitt first-rate brand Evolution. Made of synthetic leather with flexible PU, high cuff on ribbing ensures easy adjustment and corresponding arrangement on the hand. Gloves have strengthen the fingers in the shape of the tubes, which protect against them . Designed for training on all kinds of equipment. Bag Mitt gloves made of high-quality synthetic leather, filled with dense foam. Suitably profiled, well fit to the hand. 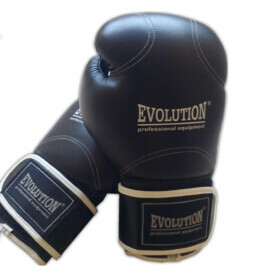 Natural leather boxing gloves filled with high density foam. Standard, wide cuff, thumb. Bundled. Appropriately modeled, well lie on the hand. Material: leather, of bovine animals: high density foam fill. 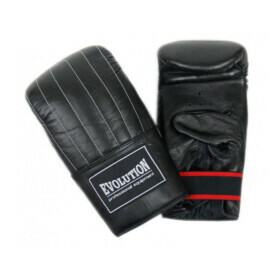 Professional boxing gloves made of high-quality bovine leather. Filled with high density foam, which perfectly absorb the taken. Very wide cuff is fastened Velcro ensures the stability and the perfect fitting gloves. Appropriately modeled, well lie on the hand. Intended to walk and sparring, tested by experienced boxers.